URA's Draft Master Plan 2019: towards a sustainable and liveable Singapore. Higher plot ratio, commercial property conversion into mixed uses could further unlock value. Maintain Overweight, with City Developments, UOL and CapitaLand as top picks. building capacity and resilience for the future, such as the Paya Lebar Air Base and Greater Southern Waterfront. At the same time, the Central Business District (CBD) is slated to be repositioned as a 24/7 mixed-use district to be a place to work, live and play. URA is introducing new incentives. 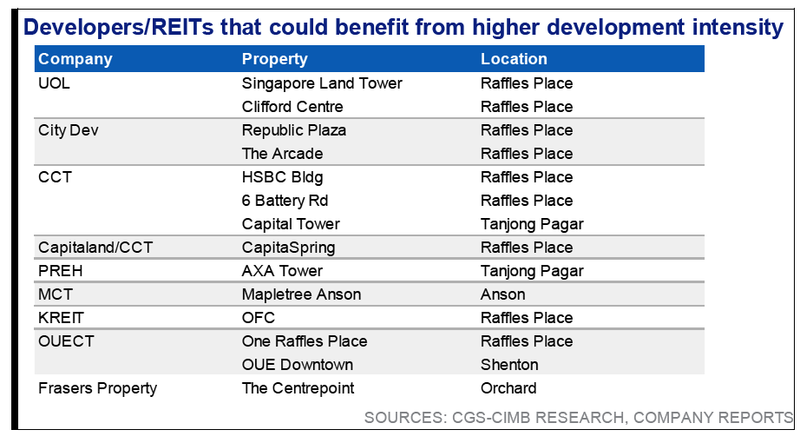 Most notably is the 25-30% increase in development density to encourage the conversion of existing older office developments into mixed-use projects to include more residences, hotels and creative lifestyles possibilities, particularly along Anson Rd, Robinson Rd, Cecil St, Shenton Way and Tanjong Pagar, via the CBD Incentive and Strategic Development Incentive Scheme. 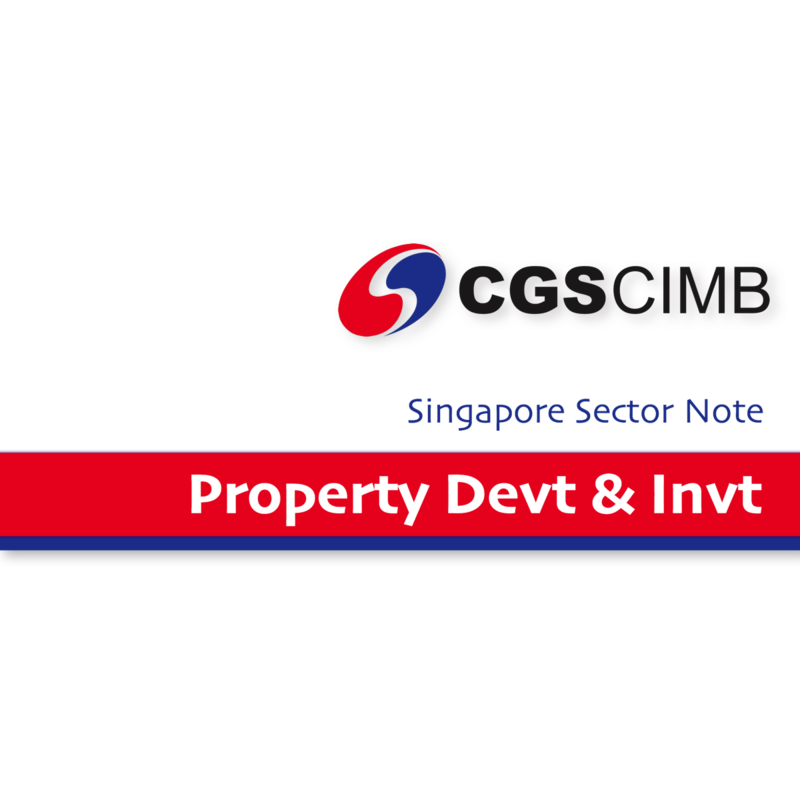 In the latest Draft MP, development intensity for commercial land in selected areas had also been raised. In the vicinity of the Raffles Place MRT Station, the plot ratio has been increased from 12.6x to 15x. In addition to improving the underlying value of the properties given the higher value-creation possibilities, this change should encourage redevelopment of older buildings such as The Arcade and Clifford Centre. In the short term, any reduction in existing office inventory may further fuel the current office rental upcycle. Meanwhile development density of the selected parts of the Orchard area, such as the Ngee Ann City, Lucky Plaza and Tang Plaza stretch, has also been increased. This should encourage property owners to explore redevelopment or asset enhancement opportunities as part of a broader approach to rejuvenate the tired shopping belt area. We maintain our Overweight stance on property developers and see capacity for value unlocking/creation from older commercial assets following the latest Draft MP as a potential catalyst for share price performance. Our top picks are CAPITALAND LIMITED (SGX:C31), CITY DEVELOPMENTS LIMITED (SGX:C09) and UOL GROUP LIMITED (SGX:U14). Key risks include slow take-up of the new commercial conversion incentive schemes or slow response to downtown city living.